You may be familiar with those serrated sets of forgetting curves characteristic of spaced repetition. The picture has been made popular by the article in Wired. 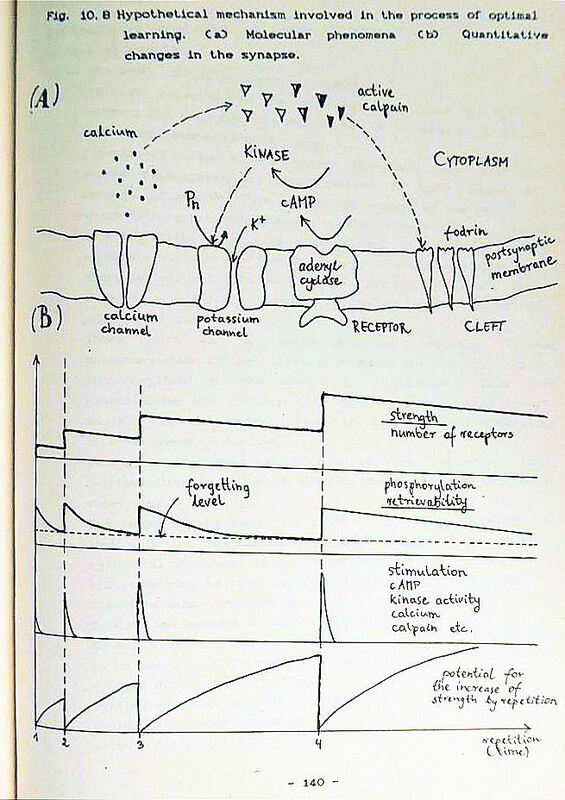 That picture has been wrongly attributed to Hermann Ebbinghaus ever since. This blog entry explains the birth of that misattribution. When compiling the history of spaced repetition, we mentioned Hermann Ebbinghaus for his pioneering research on memory, incl. the forgetting curve and the spacing effect. SuperMemo has not actually been inspired by Hermann for it was born in the head of a humble and pretty ignorant student of computer science, co-author of this blog entry, Piotr Wozniak. Somehow the meme of Ebbinghaus stuck to spaced repetition, and more and more ideas derived from SuperMemo have been attributed to the German pioneer. We did not expect that Hermann would take on a life of its own. The picture shows the results of search for forgetting curve images on Google. Pictures are dominated by space repetition figures derived from SuperMemo. 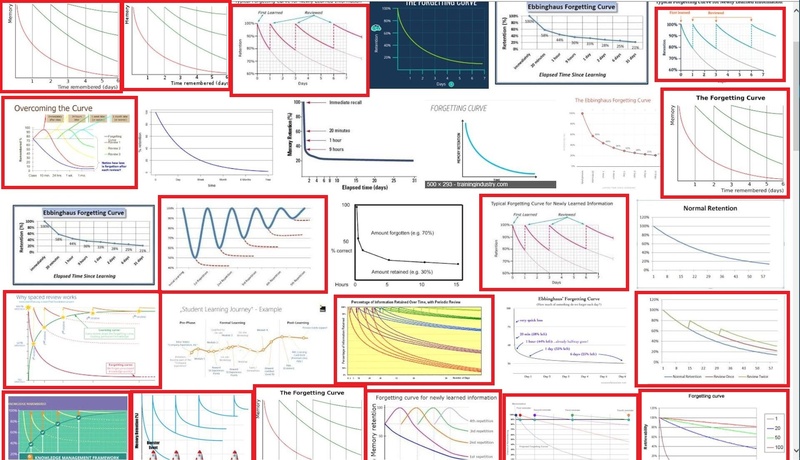 Google : Images : "forgetting curve"
60% of top forgetting curve pictures displayed by Google represent the changes to the forgetting curve in spaced repetition originally derived from SuperMemo (marked in red). The picture even adorns Ebbinghaus's own Wikipedia entry. Ebbinghaus's name is also often added as a label to the picture. 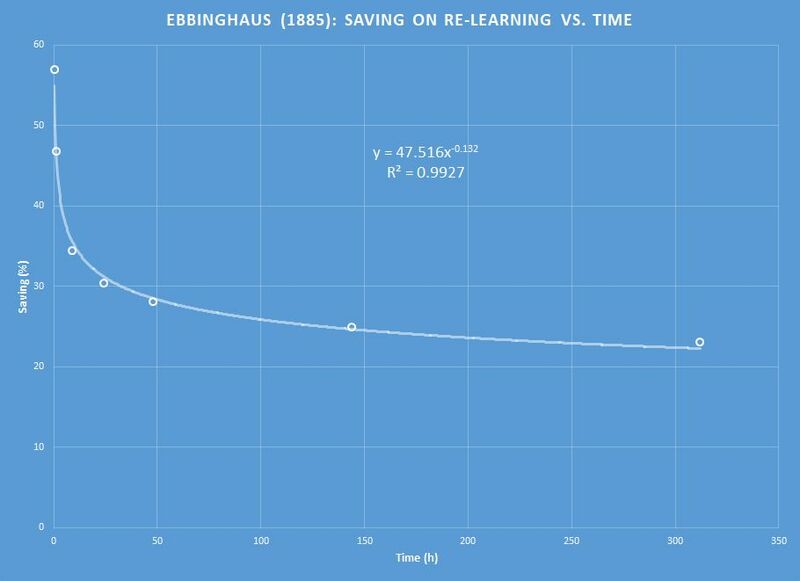 Ebbinghaus bears no relevance to those multiple forgetting curves. He did not even present his own forgetting curve in a graph form in his book. The blue picture below is a rendering based on his tables. 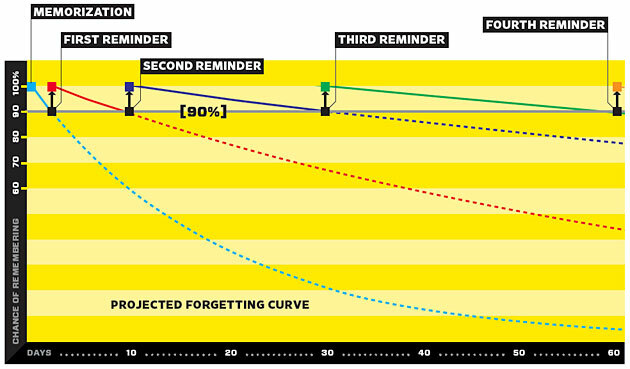 His forgetting curve was a power curve, not an exponential curve. He investigated forgetting, not the impact of review on memory. As a result, the singular curve derived from his data shows steep decay, while decay in spaced repetition decreases with each review. Those serrated flattening curves cannot be attributed to Ebbinghaus work. While Ebbinghaus investigated recall in minutes, SuperMemo provides review data for decades. Last but not least, the tabular data did not describe retention, but saving on re-learning. As for the forgetting curves in spaced repetition, the figure is actually based on an idea born in the head of Piotr Wozniak on January 9, 1988, and first discussed in a class with Dr Henryk Katulski of Poznan University of Technology. Dr Katulski, an experienced lecturer and researcher, agreed for Wozniak to pass his class with SuperMemo used to credit. Dr Katulski was very critical of the new learning method that did not even have the name SuperMemo yet (back then, it was called SMTOP, short for: super memorization test optimization program). The same method that today sweeps the world as spaced repetition. On February 19, 1988, Wozniak visited Katulski at his home, presented the figure, and this made a much better impression on the teacher. In the end, the class was credited, and the teacher never saw the program. However, some time later, he became one of the first users of SuperMemo 1.0 for DOS and an advocate for the idea. The Internet knowledge is an extremely fast mutating universe. Somehow, Google is unable to keep this chaos in order and TrustRank will be a highly welcome development. We know of at least three authors who proposed a variant of spaced schedule in their popular books on memory (Mace, Pimsleur, Buzan). Serrated forgetting curve seems like an obvious next step in explaining memory. Nevertheless, we would like to challenge you to find a figure that would precede Woźniak's picture from his Master's Thesis. Please forward this challenge. Let's see if social media can play a good role in promoting the truth here too.